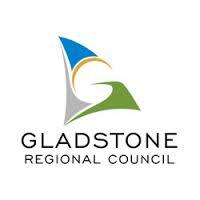 Gladstone Regional Council [GRC] has achieved stunning results by taking a proactive approach to safety with the help of LOGOSS software. In the first nine months since go live, the Council has a reported bottom line improvement of $250,000 from the strategic initiatives implemented in 2013 – 2014. It is estimated a further $200,000 has been saved in on-costs in addition to the reductions in reported statutory claims. Beautiful one day, safer the next. The Gladstone region in Queensland is home to 65,000 people, the Southern Great Barrier Reef and two of the world’s largest alumina refineries, Queensland’s largest multi commodity port and a number of other major industrial giants. Council employs 750 people and wanted to improve their safety management performance but was unsure which way to go. Craig Cousar, OH&S Coordinator for Gladstone Regional Council wanted to upgrade councils systems and align them to Australian standards and go from a paper based system to a real-time, electronic reporting environment. “We had no succinct way to measure, trend and analyse our data, and it could take weeks before we understood what had happened, so we needed to start a continuous improvement journey,” he said. We were using paper based forms, with data then having to be transcribed into excel spreadsheets where you could spend weeks trying to find a hot spot,” he said. The Manager of People and Performance, Chris Phillips, saw the organisation was still suffering from post-amalgamation in regards to a quality safety management system and that there were potential gaps in comparison to the evolving acts. “The old ways of dealing with safety were getting tired and weren’t actually working any more, we needed to change our thinking around safety and had a clear charter from our CEO to create a safety culture,” he said. “Because our previous system wasn’t in real time, there was little accountability, as it was all done retrospectively, presenting little opportunity to do any trend analysis. “We can now see trends we don’t like and have been able to intervene faster, with great impact and positive results” he said. “Our real motivation came from the realisation that we are all managers of safety and therefore all accountable, and it would be unfair of us not to have something in place to make our teams workplaces safer,” he said. As an OH&S Manager, GRC’s Craig Cousar knew from experience that for every day someone has off work, it costs council up to three times that wage. “The LOGOSS system helps us plug those gaps and became the vessel that gave us the data and information to launch and redefine our policy and corporate standards framework, bringing them in line with Australian Standards,” he said. LOGOSS was ordered in April 2013 and once the system was configured, tested and staff trained, a go live on July 1, 2013 was achieved. Gladstone Regional Council was able to fast track the process with LOGOSS, due to the fact it is based on the already proven IMS Safety Management System. IMS has been in use for over 20 years and has a robust pre-configuration process which is based on company structure and safety tree process and a very focused development team. “We were conscious to make it easy to use for a range of literacy levels and tailor to both white collar, blue collar and casual staff,” he continued. The results for the 9 months have been nothing less than outstanding. A combination of system implementation, and strategic resolve to change behaviours and process to managing risk, incidents, return to work, and safety management has resulted in a significant cost reduction and bottom line improvement for GRC well ahead of expected timelines. A gross reduction in Statutory Claims of approximately $405,000 on the previous year’s results of $470,000. A net improvement verse the previous year is $255,000 after costs of all initiatives, including the purchase of LOGOSS. Lost time days in 2012- 2013 were approximately 1000, and in the current year are only 160, year to date. Reduction of insurance premium in next financial year of $80,000 with further reductions expected in next two to three years of 7.5%.In addition to the reportable reductions in costs, it is estimated that a further 50% of on costs has also been saved, estimated at over $200,000. As GRC’s stakeholder environment is volatile due to the peaks and troughs of the local industry, Chris Phillips believes GRC provides a stable core that shows the way through leadership and civic responsibility. “We will never be able to match the dollars that industry offers here, but with 750 employees, we believe they are all advocates of Gladstone Regional Council and understand that we care about the safety of everyone in our region,” he said. “We know that the longer someone stays at home the harder it is to re-enter the workforce after injury so we have a plan for them to get them back into work, and engaged in their recovery.” he said. LOGOSS director of sales, Craig Nicholls is convinced the complexity of council businesses today means most generic enterprise software systems do not solve the problem. With the expectation of safe governance and accountability from senior management, they are most probably not meeting the 4801 Standard. They cannot process and deliver in real time across the safety team and executive, nor provide fast time response to management. There are serious consequences for getting it wrong, and ignorance is no defence nowadays. “Councils have an opportunity to leverage new technology to deliver more efficient services, manage diverse operations and utilise knowledge and skills of people across all locations,” he said.